The federal government and many state governments have programs to help people who need low cost or free medications. Many of these programs require that you meet eligibility criteria, which typically include your age, income level, family size, and whether you or any family member has a disability. Ms. Smith has type 2 diabetes, high blood pressure, and depression. She takes three generic medications, namely metformin for her diabetes, enalapril for her high blood pressure, and paroxetine for her depression. She buys these drugs at her local Wal-Mart for a cost of $10 for a 90-day supply of each medication. Since each medication costs $40 per year x 3, her annual cost is $120. The least expensive Medicare drug plan in her state has a premium of $27 per month for an annual cost of $324. A Part D plan may not make sense for Ms. Smith. Mr. Smith has type 2 diabetes, high cholesterol, high blood pressure, and hypogonadism, or low testosterone, which can happen in men with type 2 diabetes. He takes four medications, namely metformin for his diabetes, simvastatin for his high cholesterol, Diovan for his high blood pressure, and Androgel for his low testosterone. He buys these drugs at a pharmacy in his local supermarket. Diovan and Androgel are both expensive medications and have no generic version. Mr. Smith’s medications cost him more than $3,500 each year. After paying his monthly premium, deductible, and drug copays, he can save as much as $800 each year by joining a Part D plan. Having trouble paying for Medicare part D? Check with the Social Security Administration (SSA). If you are in a Medicare drug plan, the SSA can determine whether you are eligible for extra help with paying for your Part D deductibles, premiums, and drug copays. If you qualify, the extra help could be worth up to $3,900 per year. The SSA website Help with Prescription Drugs has information about how to apply for extra help and provides links to trusted organizations that can help you find resources in your community. See if you are eligible for Medicaid. The Medicaid Program provides health care benefits to certain groups of low-income individuals — some who have no health insurance or not enough health insurance. Although the federal government establishes general guidelines for Medicaid, the program is run by individual states. Each state decides what services are covered and who in that state is eligible. Medicaid has a drug formulary and pays for most necessary prescription drugs. If you served in the military, check your VA benefits. If you are a veteran with an honorable discharge, you can obtain medications for a copay of less than $10, and, in some cases, for free. Visit your local VA health facility or go online to the VA Health Benefits website. In the military? Get your care from TRICARE. TRICARE is the program that provides health care for active duty service members, National Guard and Reserve members, retirees, their families, survivors and certain former spouses worldwide. TRICARE’s prescription benefit includes free medications from military pharmacies and low-cost medications through the mail or from retail network pharmacies. Look into state-sponsored programs. 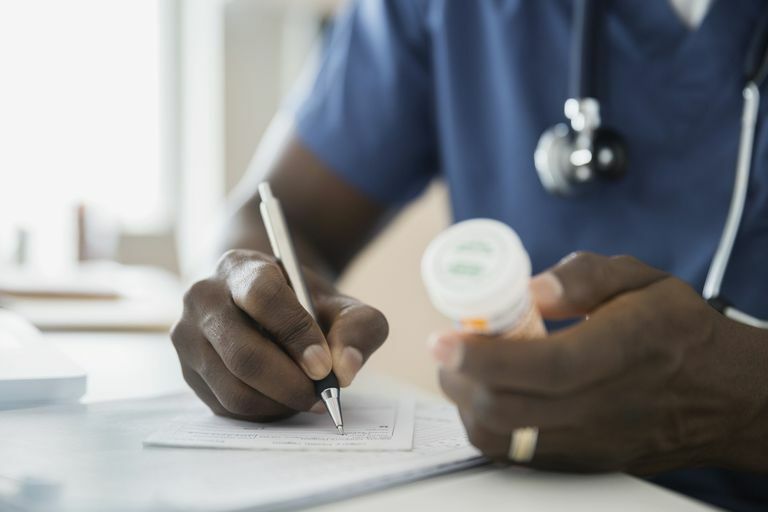 If you do not have any health insurance or have insurance that does not cover medication, your state may have special programs that can help you obtain your medications. Each state program is different and helps people with different types of needs. NeedyMeds provides information about programs in each of the states. For people with Medicare Part D, each state is required to have a State Health Insurance Assistance Program (SHIP) that provides counselors who can give you free one-on-one help with your Medicare questions or problems. Visit a community health center or free clinic. Community health centers that are regulated by the federal government can be found in many parts of the country. These clinics provide care to people without health insurance and have sliding fee scales based on income. Many of these clinics have pharmacies on site or have contracts with community pharmacies. Find a health center in your community. Free clinics are community clinics that provide health care for free or very little cost to uninsured people. These clinics help their patients get low cost or free medications. Some free clinics have pharmacies on site or have arrangements with local pharmacies, and some rely on samples and pharmaceutical company patient assistance programs. Find a free clinic in your community.